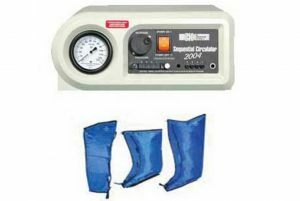 A widely recognized and highly effective treatment is using a compression pump. 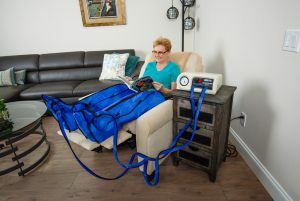 This is a safe and effective way to assist your body’s circulatory system in moving the excess fluid which has accumulated in the limb and can cause painful swelling, non-healing wounds, heaviness, and discomfort decreasing your mobility. 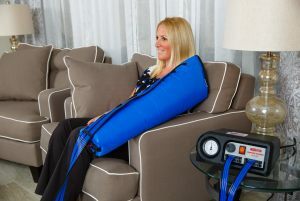 The compression pump is a gentle massaging technique that compresses in a rhythmic cycle, similar to that of a normally functioning lymphatic system that has not been damaged. 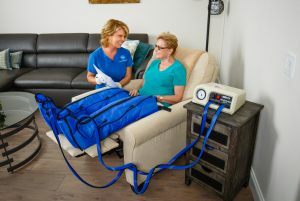 This is a great treatment option for patients who have tried compression stocking, elevation, diuretics, or massage with little or no relief. This model has additional features that allow the user to program the pressure setting in any and all of the 8 chambers, always keeping greater pressure distal so as to avoid any reflux. 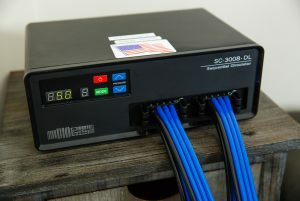 Complete with a compliance meter to monitor patient use, the SC-3008-DL also has a countdown clock and a timer that shuts off the pump after one hour.